We have covered these cool looking glasses in an article before and they always stay in fashion. 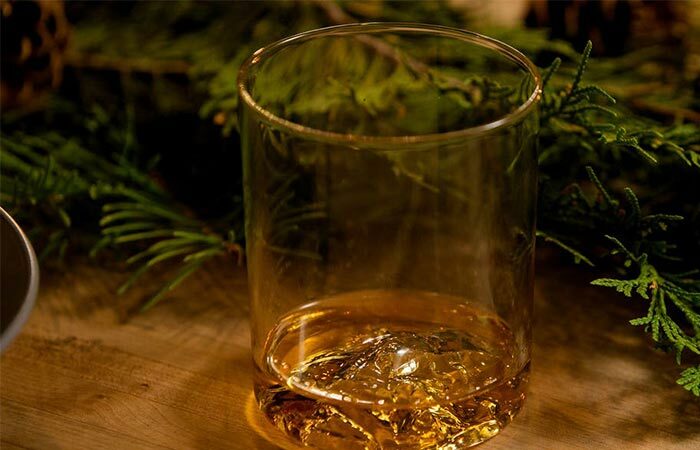 The Huckberry exclusive glasses are made to honor the 100th anniversary of the National Park Service, with each of the four featuring a topographic impression of America’s mountain peaks- Half Dome, Denali, Mt. Rainer and Mt. Whitney. Each set is made from hand blown and lead-free crystal. Aside from these four, you can also get Whiskey Peaks for Mt.Everest and Mt.Fuji. 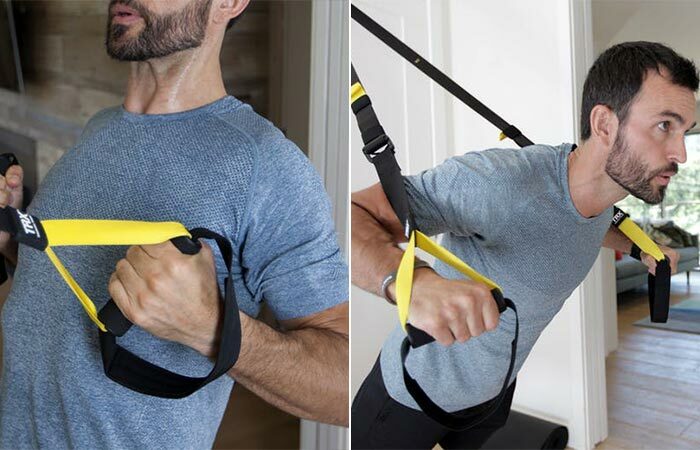 A Navy SEAL squad commander invented the TRX System in order to stay fit when at home. Nowadays, it is widely used and popular in fitness regimes because it can provide a total body workout. You can choose between two sets- Minimal and Strong, designed to set up anywhere in just a few seconds. Both include two anchoring solutions – TRX door anchor & TRX suspension anchor, the Minimal set has lighter and thinner straps and 2 TRX introductory workouts while Strong includes 8. A great collection of bags. For their bag collection, Topo Designs draws inspiration from classic French mountaineering gear. What they all have in common besides the timeless, stylish look is the quality and tough 1000D Cordura fabric construction. Also, each one comes with plenty of storage space, optimal carrying capacities and backpack have laptops sleeves. 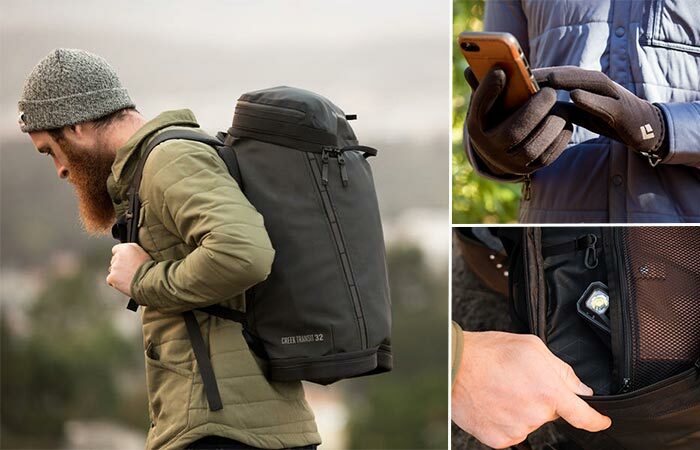 Huckberry offers a variety of models, from backpacks like Rover Pack, Klettersack and Y-Pack to briefcases and Dopp kits. What characterizes all Matador products is their durability and ability to pack them up and impressively reduce the overall dimensions. 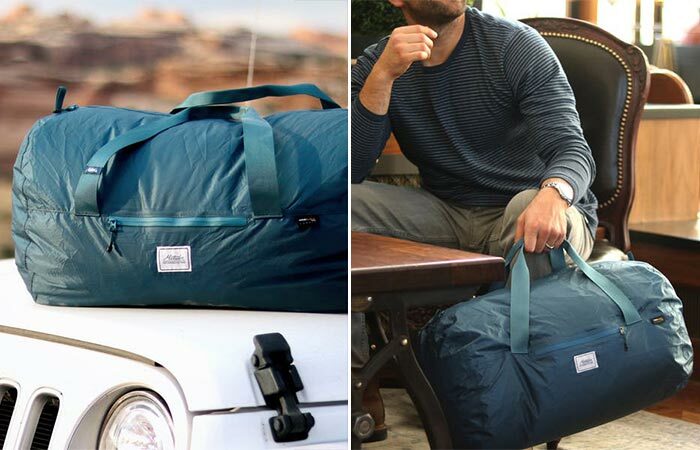 Matador Transit Duffel is compact and offers 30L capacity. It’s made from a waterproof Cordura 30D fabric that will keep the rain from getting your things wet and the best part- it weighs only 4.1 oz. More details include a weatherproof zipper, taped seams, and reinforced stitching. When done using it, you can pack it to the size of a wallet. 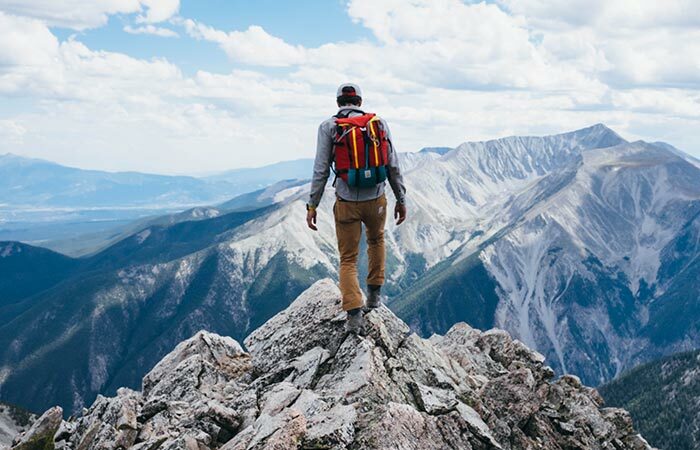 Black Diamond is a company that produces outdoor gear that can be used for a wide range of activities: hiking, backpacking, climbing, skiing…The company is actually started by climber Yvon Chouinard, the same guy who founded Patagonia. Huckberry found some of their most popular items and included them in the shop. You can find a water-resistant ballistic nylon backpack, a useful rechargeable headlamp, and warm screentap gloves. Set of quality cast iron cookware. Looking for your next cookware addition? How about something from Barebones Kitchen? 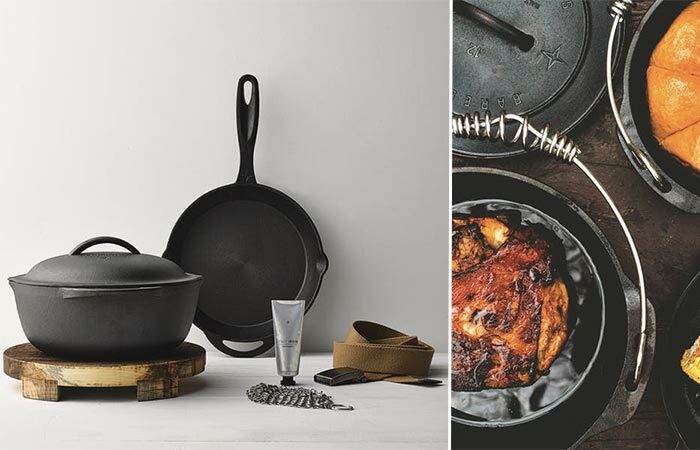 This set of cast iron cookware includes a skillet, crock/dutch oven and matching lid, trivet, a cleaning mesh and a seasoning paste. The lid fits both skillet and crock and everything is ergonomically designed and nests together. The wooden trivet is handmade and protects the table surface from the hot cast iron. Both skillet and crock are pre-seasoned so you can use it for cooking right out of the box. 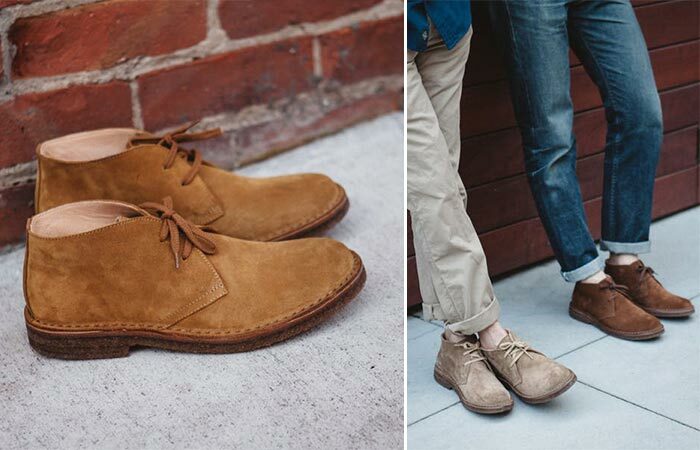 Astorflex is well known for their chukka boot offer and today, we chose just that. The Greenflex model is inspired by the classic desert boot and just like the rest of their footwear, handmade in the Northern Italy by the same family that has done a terrific job for the last six generations. As for the construction, the upper is made from premium leather, paired with a leather lining, ergonomic footbed, and a stable 100% natural crepe rubber sole. Besides the three (Dark Chestnut, Stone, and Dark Khaki), you can get a Rough Sand version and a Huckberry exclusive in Tan.